I attended Constantia Waldorf School from Kindergarten until the first term of Class 10 when I went to Fish Hoek Senior High. Bernard Hurner was my Class teacher and then Sue Vos took us for High School. I always enjoyed the arts and crafts which Waldorf introduced us to so thoroughly, but since I did well academically I went onto study Science at UCT. I studied Microbiology and Biochemistry which was fascinating in some ways and tedious in others. I was ready to stop during my Honours year, but when I was offered a summer internship in Vancouver, I took the opportunity to experience the (beautiful!) city and ended up working in a genetics lab for a year. Although I enjoyed finally earning an income and made the most of the Canadian lifestyle, snowboarding etc, I knew that spending my days in a laboratory was not sustainable for me. My artistic side was dying and crying out for some room to grow. I had always been interested in animation having made a short film with my dad at the age of 7, but animation was not exactly a career option when I finished school in 1996. After a short course in stop-motion in Vancouver, I managed to get an internship on a stop-motion film while staying with my father in Berlin. This provided me with a great introduction to the dedication and passion required to make an animated film (over 10 years later, it is still not complete!) 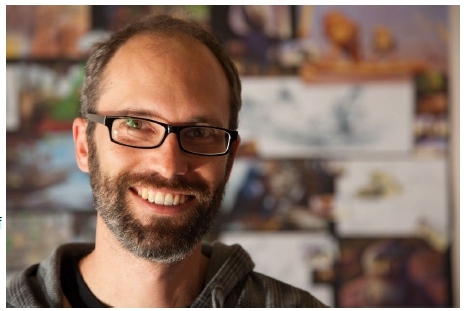 I was hoping to return to Cape Town and intern at Triggerfish which was a stop-motion company doing commercials and work for Sesame Workshop, but computer animation was already taking over so there were not many job opportunities. So, instead, I got involved in developing the local industry and made a short film which gave me a chance to explore all the stages of production. It took about a year to complete and got selected into some festivals which encouraged me to make more films. One idea that I kept coming back to was that of the Quagga which was being bred back to life on the slopes of Table Mountain. The idea that an animal could come back from extinction fascinated my scientific mind, and the analogy of the half-striped zebra seemed fitting to many South Africans – and to me, having grown up always feeling different. 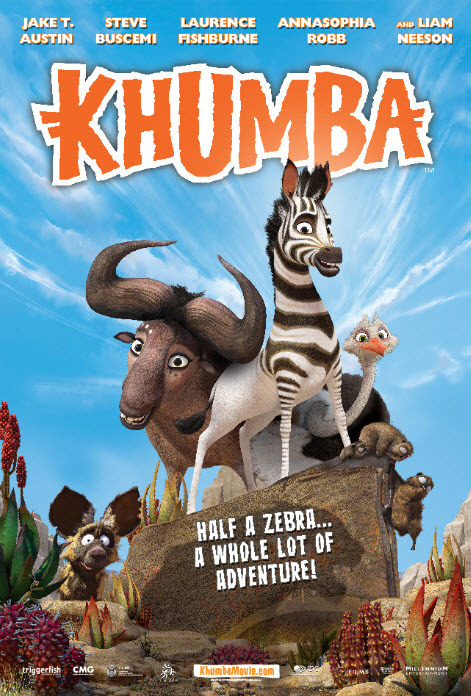 From the idea of “Khumba” to the final result on screen was a decade-long road. I worked on the script while supporting myself through writing/editing science textbooks and of course the much-dreaded job waiting tables. I finally signed up for a year-long internship learning computer animation. My big break came during that time, when I won a competition, providing me with a bit of funding and training to write the full-length feature script. 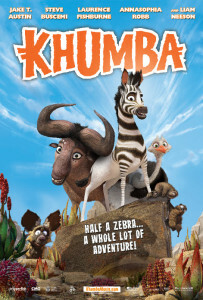 Then, through a fortunate turn of events, I had the opportunity to become a partner in Triggerfish, and with my experience in writing became involved in the script of “Adventures in Zambezia” too. Since then it has been a rollercoaster ride, thrown in the deep end of animation – learning how to write, produce and direct. As the company grew to about 100 people at its peak, I also had to learn management, leadership and business skills. My official role is now Head of Development and I am responsible for creating a slate of projects at the studio. It means I don’t get to write much myself anymore, but I do get to help and develop new writers and can be involved on multiple projects at once which can be extremely rewarding. When I took the plunge to change from science to animation, people said how brave I was to pursue my passion and switch careers, yet I never saw it as anything but essential – why do something that does not inspire you every day? Many of my classmates at Waldorf have ended up doing “unconventional” things as careers. That’s not to say there have not been challenges for all of us along the way, but at least we have not been afraid to take the leap. I credit Waldorf for helping us to look for that passion and, like the little zebra in my film, to pursue it against all odds.